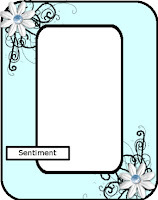 Sketch is from Try Stampin' on Tuesday. This Bugaboo image is called "Christmas Cheer" and I'd say she's had a bit more than necessary. I colored her with a combination of Copics, Promarkers and glitter gel ink. The die cut is done with a Cheery Lynn frame/border die. The die cut itself was so fancy that I left the card without any additional embellishments. I figured the sparkle and fancy borders were enough. Love the decorative edging and the humour in this one. Great framing for this 'naughty' girl. Oh, that heat would send you indoors. Our summer hasn't been too bad this year. We haven't even reached 100 degrees yet. LOL!!! Love it! She's framed out just beautiful with that die too. Adorable and colored so pretty! LOL love this card the image is fab and the saying you have put with it, made me have a little giggle to myself. Lol! Awesome!!!! Thank you so much for joining us at Stamp and Create's Christmas in July Challenge! Oh my Connie, this is just fantastic. That image is me (need to loose a few pounds ;) but goodness this is fabulous Christmas card. Naughty or nice in this beautiful frame. So fun for a holiday card. Great take on the sketch. Super the way you have used the bright colors and sparkles with the dark frame! Hehehehe LOVE!!! Awesome card- love the sketch too! I love how you let the die speak for itself without any extra embellishments and that image …… Got to get me one. Thank you very much for joining us this week at Cheery Lynn Designs. Happy Merry Christmas in July!! We're so happy you joined us for theCatch The Bug “Christmas in July" BINGO Challenge and Celebration with Bugaboo Stamps! We hope you’ll join us for our Saturday BINGO Challenge Today!!! What a funny card. Thank you for joining us this week at Cheery Lynn's Challenge and best of luck. What a fun card. Thanks so much for joining us at the Cheery Lynn Designs Challenge and good luck! Too fun love it! Fabulous framing of the image(which I adore) and wonderful colouring! Such a fun Christmas card. Thanks for joining us this week at Try Stampin' On Tuesday. What a fun & wonderful card. I really love Bugaboo stamps & this one is just fantastic! I love your take on the sketch as well. 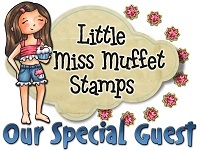 Thank you for playing along with us at Try Stampin on Tuesday. This is a totally stunning creation! Love the great sentiment with that image!!! Awesome die cut. LOL! What a fun card! The image is too funny and the sentiment is even funnier! Thanks for playing at My Craft Spot! Super cute card! Amazing job! Thank you for joining us for the Oozak Challenge! Summer, Flowers, and Bears, Oh, My!